More scenes from my new apartment. 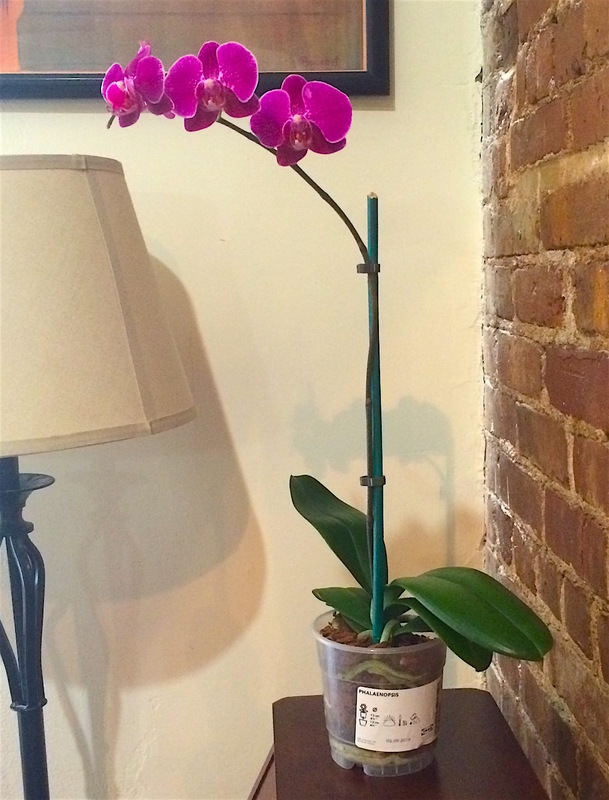 Here is the orchid - yes it is an IKEA orchid. Mr. Fuzz enjoys our new bedroom window. 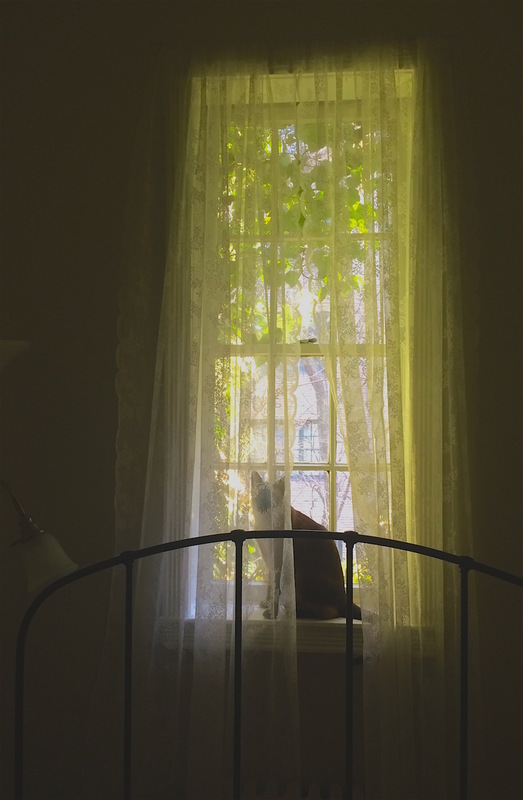 We did not have a view of ivy and trees in the old apartment. Here we are much closer to nature than we were in Astoria. Plus we have two indoor plants - I didn't even bother with houseplants in the Astoria apartment. I don't have the greenest thumb but I do OK with low maintenance plants.